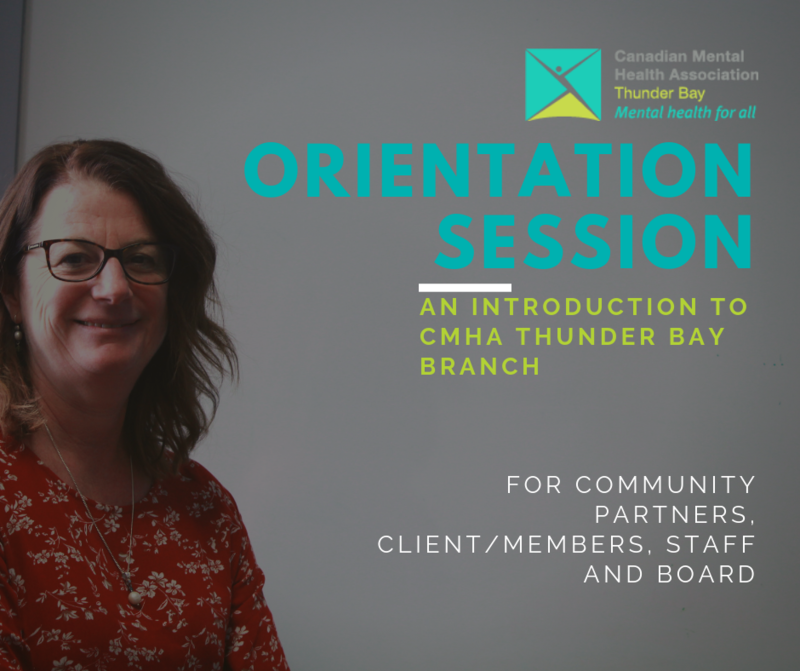 Are you curious about what services CMHA-Thunder Bay Branch offers and how to access them? Please join our CEO, Jennifer Hyslop for an informal gathering where you can learn about the vision, mission, values, and strategic directions of CMHA and the wide range of services available to support our community. All sessions begin at 10:00am and end at 12:00pm.